Star Wars: Do R2-D2 and C-3PO Appear In Rogue One? 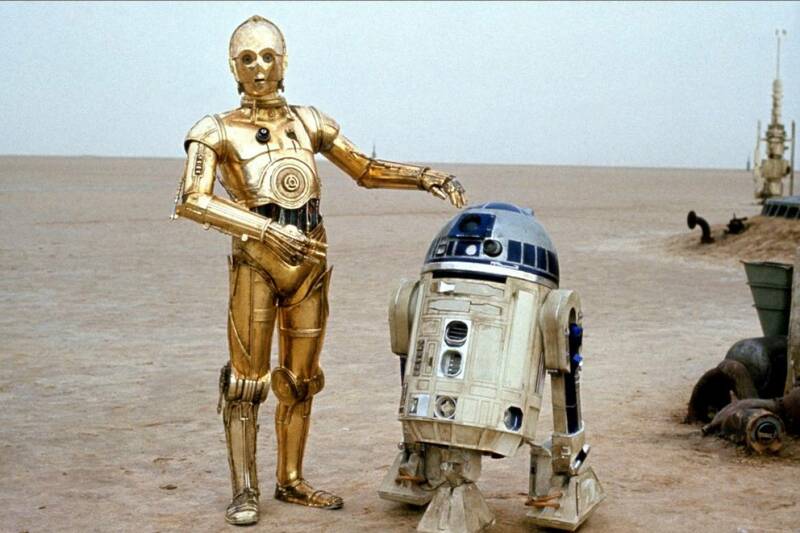 The short answer is, yup, you will see R2-D2 and C-3PO in the film, and it's easy to spot them. While they're in it for less than 10 seconds, it's not a simple quick and somewhat blurry background shot like Star Wars Rebels' lead droid Chopper, or a little passer-by moment like the Mouse droid. Seriously, Spoilers now. When the team assembles to go to Scarif at the turning point of the film that ends Act 2 and begins the riveting Act 3, we get our shot of Threepio and Artoo, the lovable droids and most prolific Star Wars characters. The pair are standing in the base at Yavin, watching the Rebel fleet assemble. "Now they're going to Scarif? Why does no one tell me anything?" C-3PO complains. R2-D2, meanwhile, whistles, beeps, and wiggles excitedly. You may not have heard or hear any lines there, because if your theater was anything like the ones ComicBook.com staff were in last night, the cheers and claps for the pair drowned out all other sound. Also appearing in the film are the aforementioned Chopper and Mouse droid, plus a shiny RA-7 protocol droid - you may know the droid AP-7, an RA-7 model, from Star Wars Rebels. Various other astromechs appeared, naturally, when the X-wing squadron was flying off to battle. Rogue One: A Star Wars Story hits US theaters December 16, 2016. Directed by Gareth Edwards, it's the first of the new standalone features from Lucasfilm and Disney, which take place outside the core "Skywalker Saga" of films noted by an Episode number. 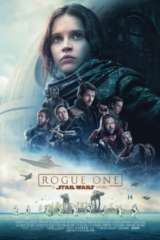 Rogue One tells the story of the small band of rebels that were tasked with stealing the plans to the first Death Star. The story spins directly off the opening crawl from the original Star Wars: Episode IV - A New Hope. In that crawl, it read: "Rebel spaceships, striking from a hidden base, have won their first victory against the evil Galactic Empire. During the battle, Rebel spies managed to steal secret plans to the Empire’s ultimate weapon, the DEATH STAR, an armored space station with enough power to destroy an entire planet."